cardigan junkie: Check me out at Roco Rennie today! I forgot to mention in today's post that I am also guest blogging over at Roco Rennie today! 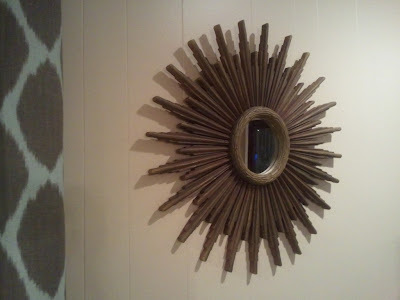 Rachael has a great series where bloggers feature their 5 favorite things and I have sent some new photos of my house, including the mirror below that I scored for $20. Go check it out and say hello to Rachael!